This staff photo spotlight is on Aubree Riddle, PTA, Physical Therapist Assistant at our practice in South Davis Community Hospital in Bountiful, Utah. Aubree’s photo was chosen for the month of March in our 2018 Calendar. Aubree took this awesome shot at Antelope Island where she and some friends had gone to see the sunset. 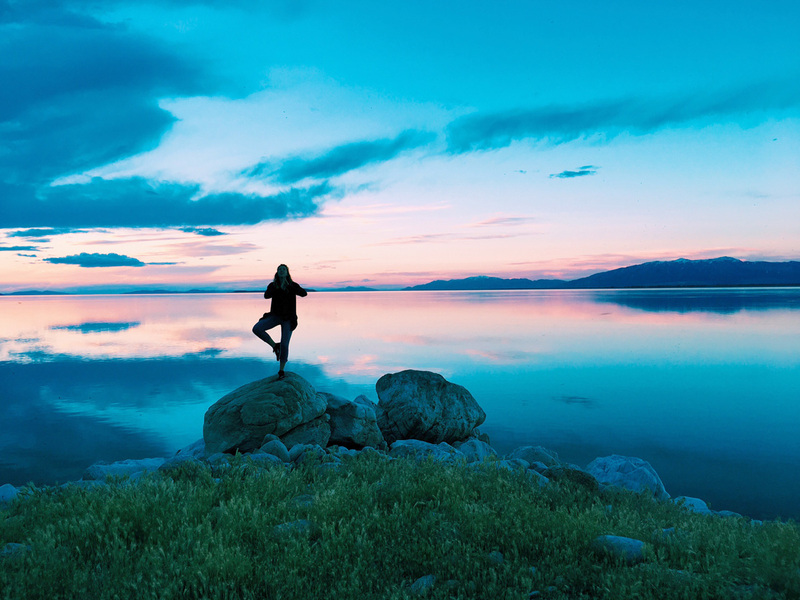 When the colors lit up, she took the opportunity to get out there and do some yoga poses with the amazing backdrop of the Great Salt Lake. Cool shot, Aubree! We hope you keep taking great photos and send them in when the 2018 Photo Contest opens this summer!